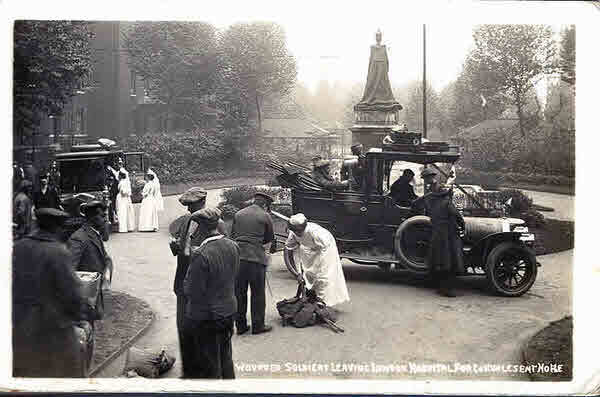 Two 1914 photographic postcards taken within a few minutes of each other, showing wounded Belgian soldiers waiting for transportation from The London Hospital to a convalescent home. This must have been very early in World War One as the German invasion of Belgium started on the 4th of August and one card was posted on the 17th of October. 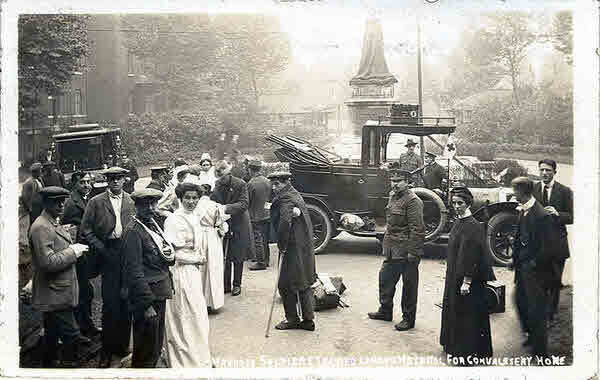 In the background we see the still surviving statue of Queen Alexandra, erected in 1908. As a comment on the back of one of the cards notes, this was the only statue of the Queen open to public view.